Since we launched Kidstir, our kits have brought a lot of joy and learning to families, including those with children with special needs. So when we heard about the California Autism Foundation, we were enthusiastic about learning more. The mission of the California Autism Foundation is to provide people with autism and other developmental disabilities the best possible opportunities for lifetime support, training, and assistance to help them reach their highest potential for independence, productivity, and fulfillment. The Foundation operates both a school for 6-22 year olds and a Custom Assembling and Packaging Services (CAP) division. 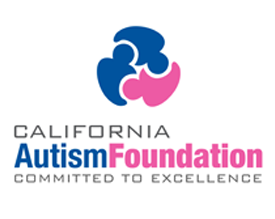 This leads us to our announcement: Starting in March 2015, we are excited to begin a partnership with the California Autism Foundation for fulfillment services. The Foundation’s CAP Team will receive, warehouse, pack, and ship our kits every month. This is an important transition for us, and a new project for the Foundation, so we ask for your support and patience during the initial months. And, please reach out if you have any questions or thoughts as we embark on this new partnership. We enjoy hearing from you at hello@kidstir.com. Here’s to doing the right thing, the right way, and with the support of the best community and customers we could ask for! Thank you, and onward bound! p.s. In May, 2015, Kidstir was honored to be presented with AblePlay’s prestigious seal of approval. AblePlay rates products across a variety of developmental skills for children of all abilities, including special needs.